is a new take on an essential piece of baby furniture. 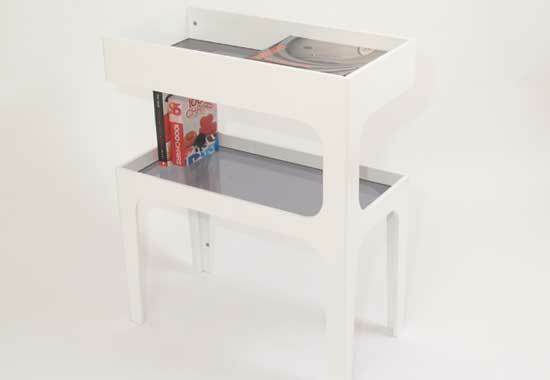 The upholstered tray on the top is removable so that it can be used as a table after the baby has grown up. The table uses common knock down style fittings and can be quickly assembled from a flat package. I used part lines in the style of injection moulded plastic parts to avoid the 'slab' look that flat packed furniture tends to have (see image).